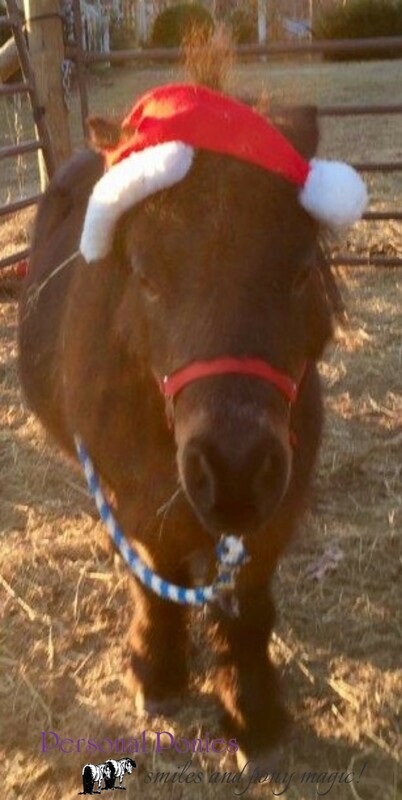 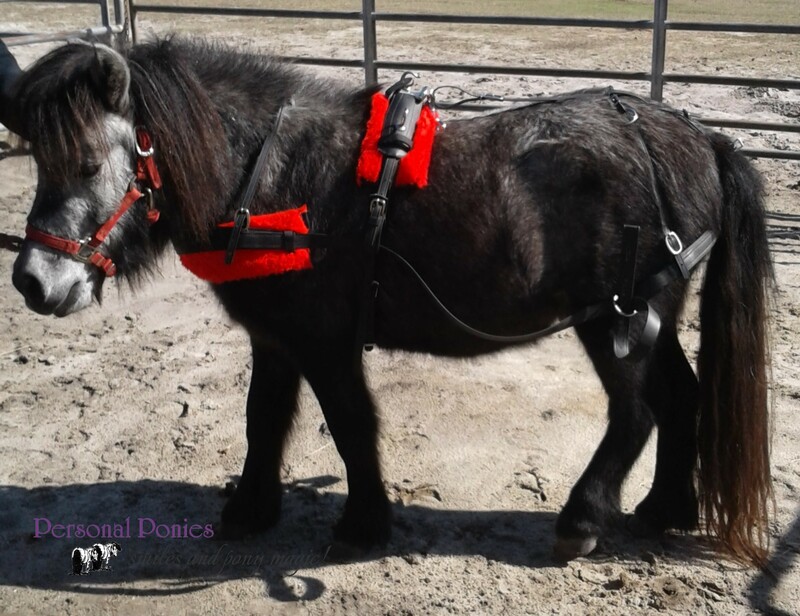 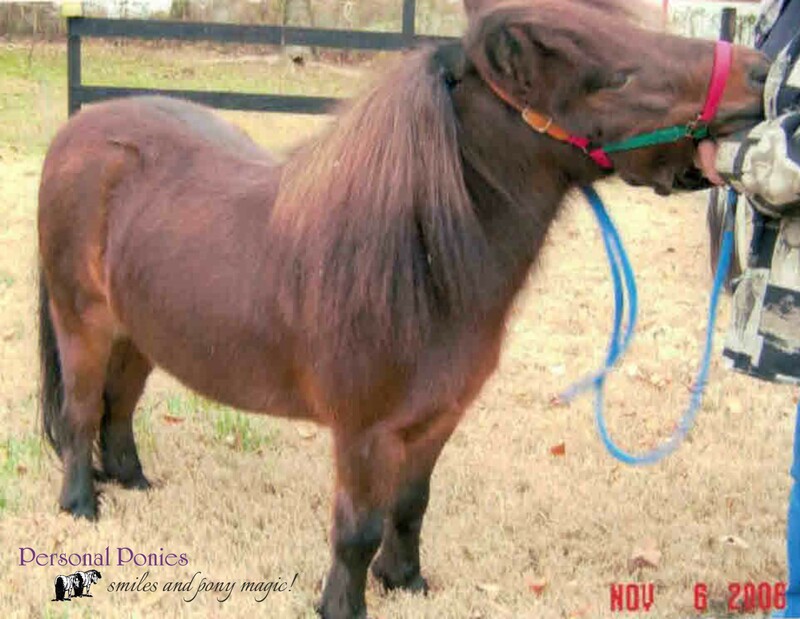 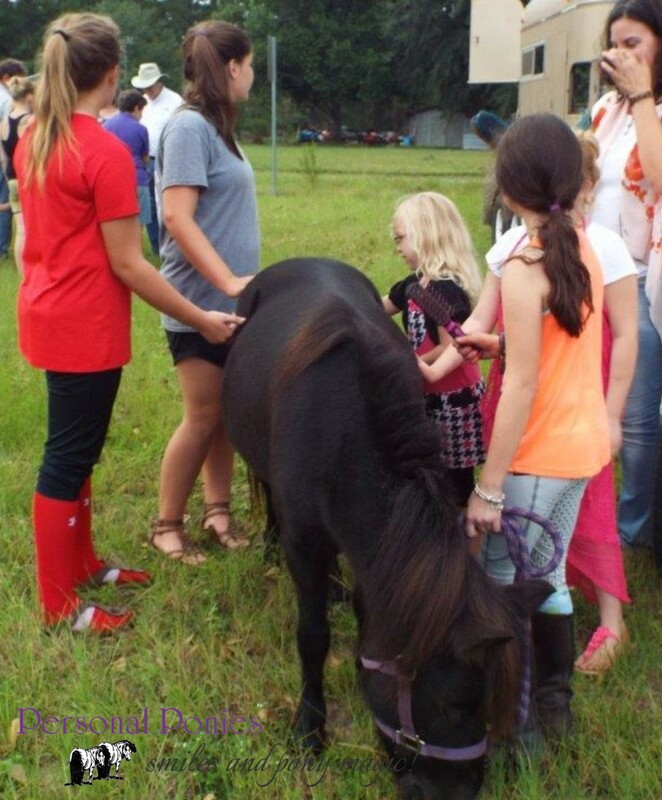 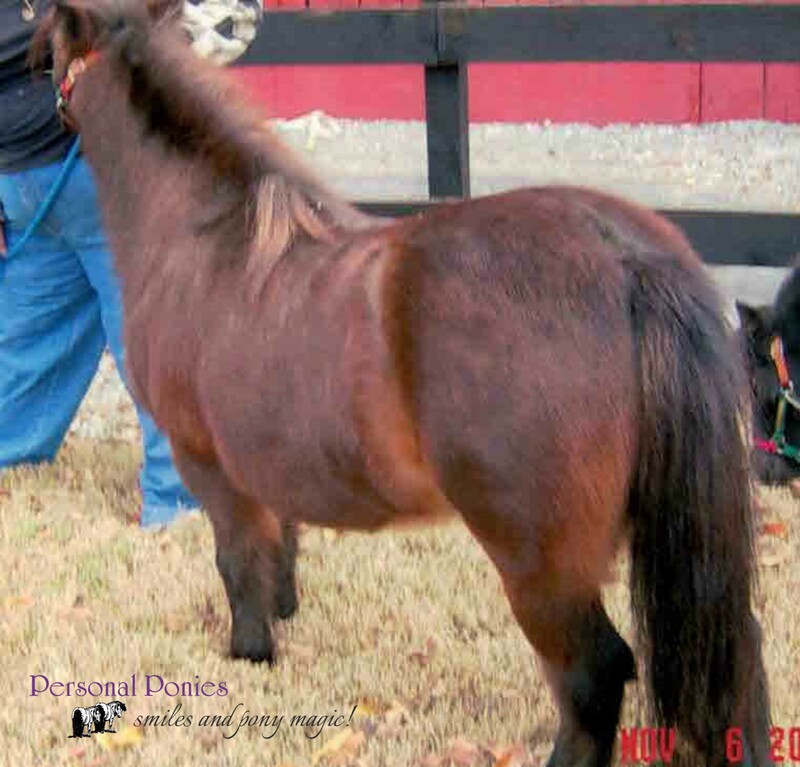 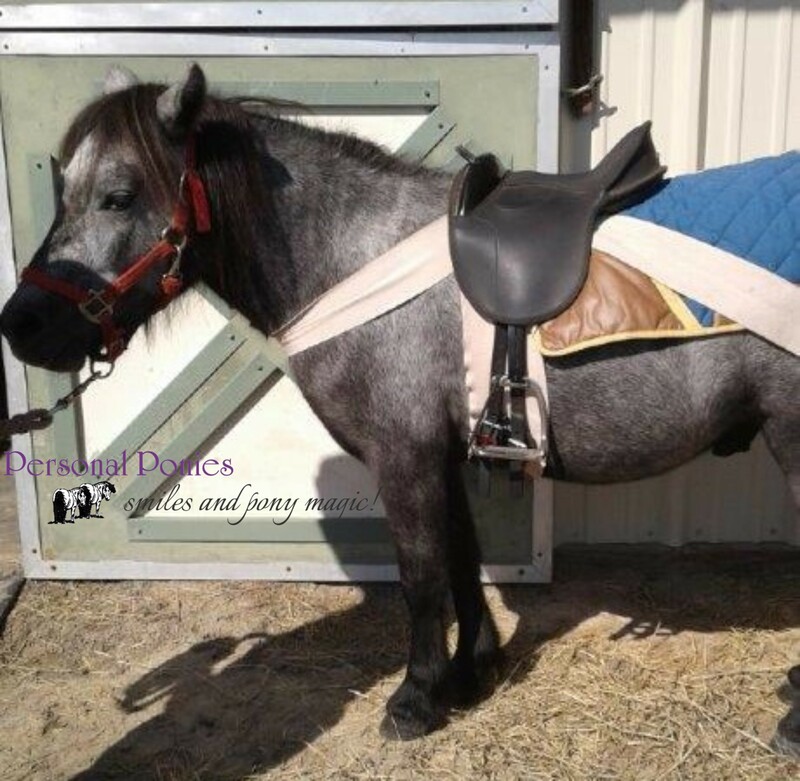 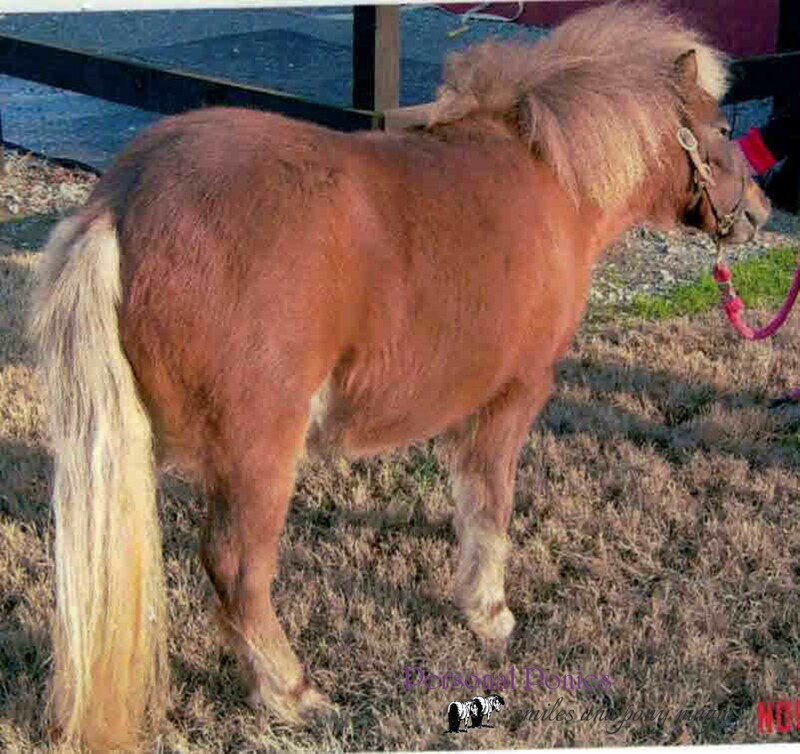 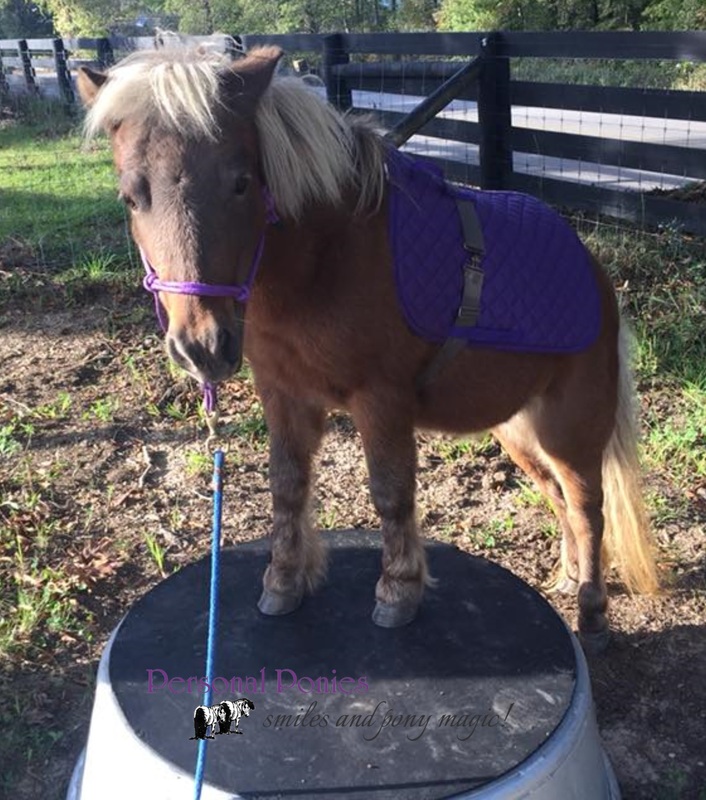 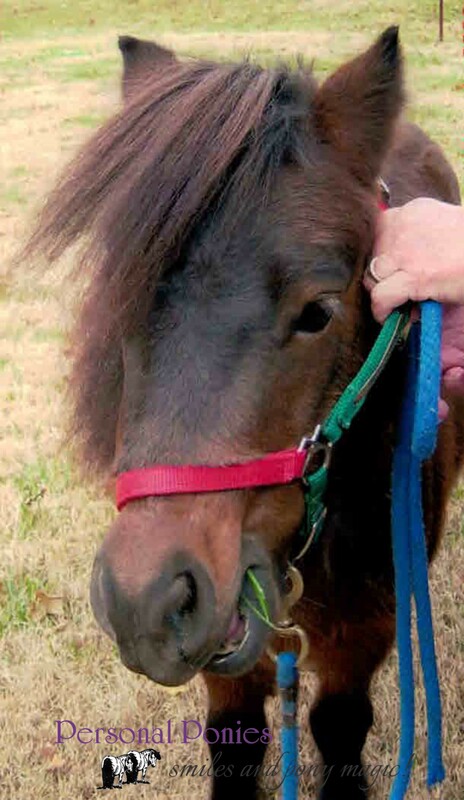 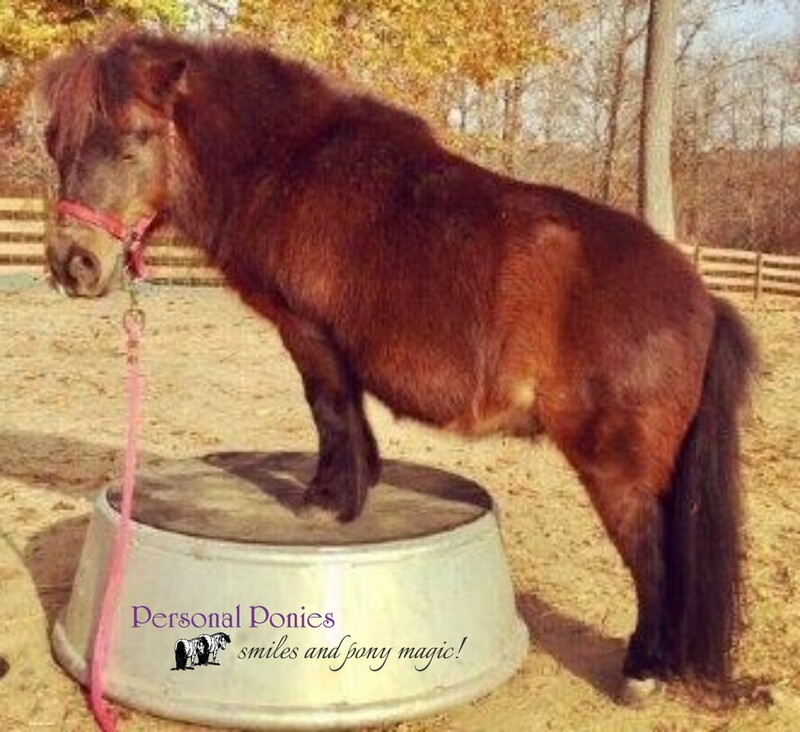 Personal Ponies are leased out to Therapy Centers in bonded pairs. 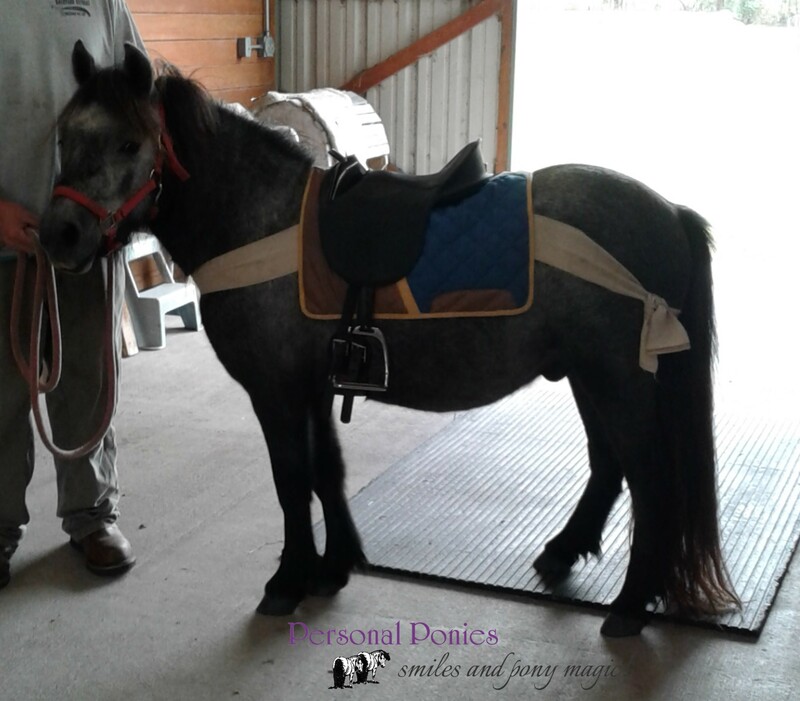 We have found over the years that having a familiar buddy is comforting and provides company and stability for our ponies. 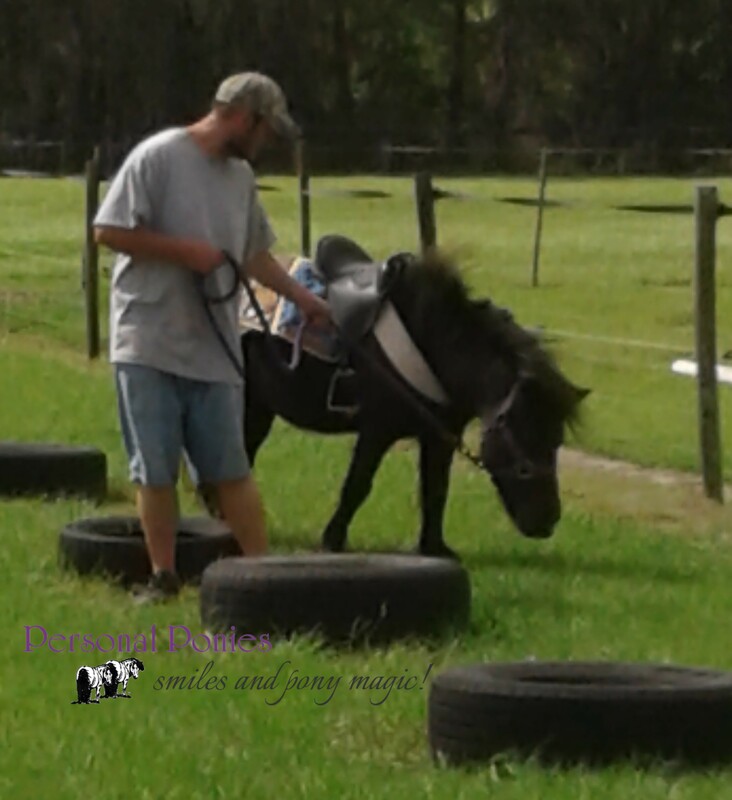 Since we ask that they NOT be turned out with larger horses (their short little legs will just not get them out of the way fast enough on joyful herd romps) having a buddy gives them the company they need as a herd animal. 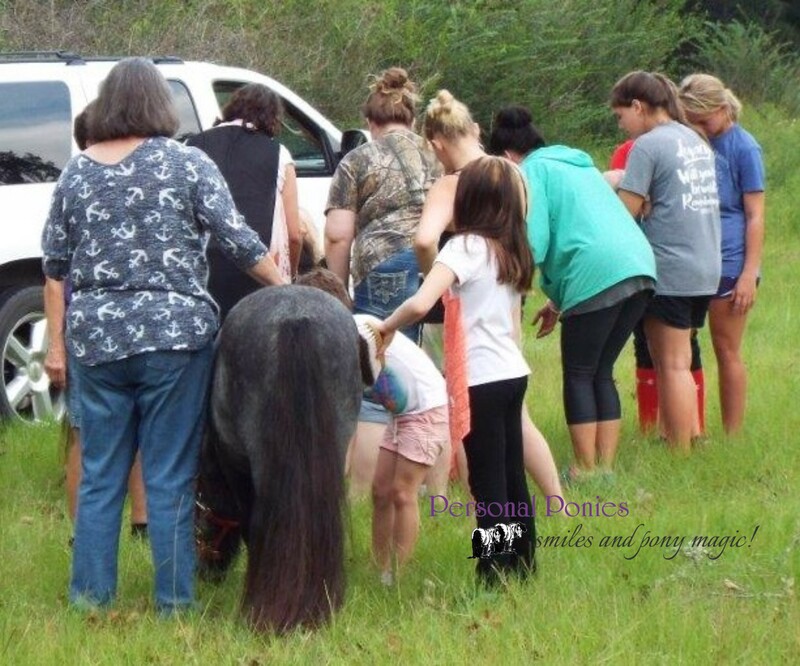 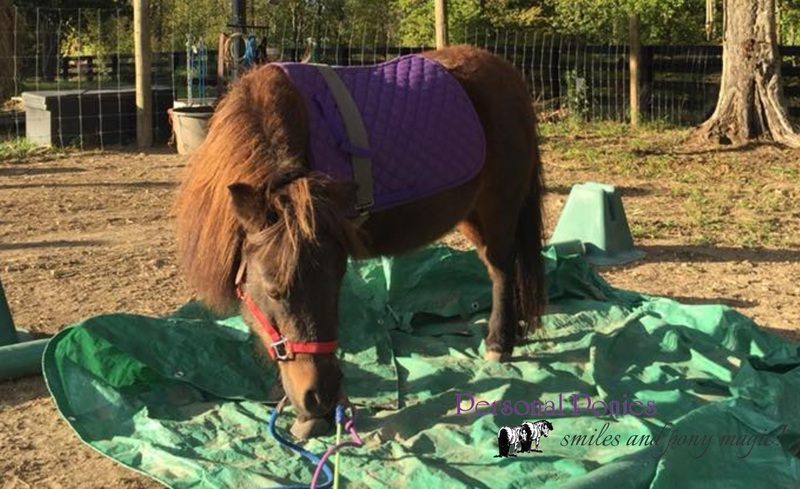 After reading about our Therapy Center Program, please fill out the Pony Application and contact the listed caretaker if you would like more information. 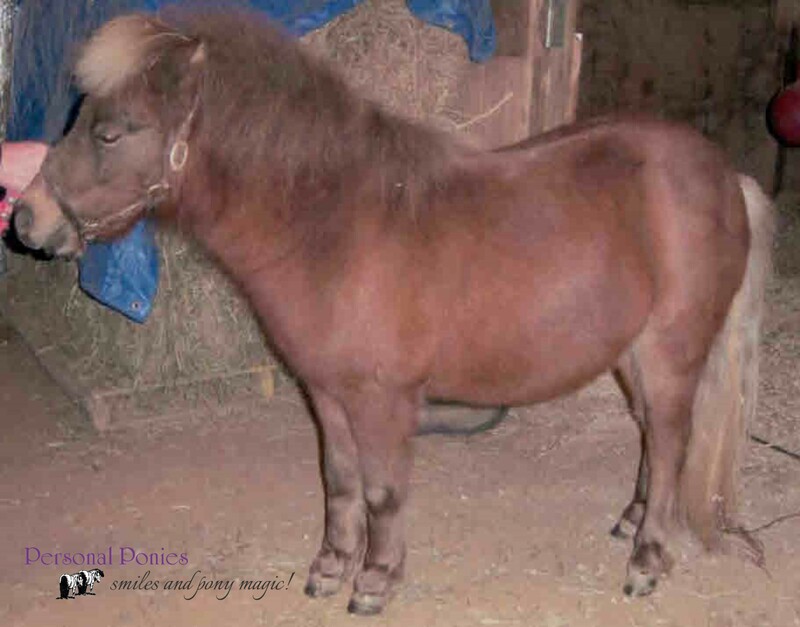 Bear and Mystery have been paired since Mystery was born in 2004. 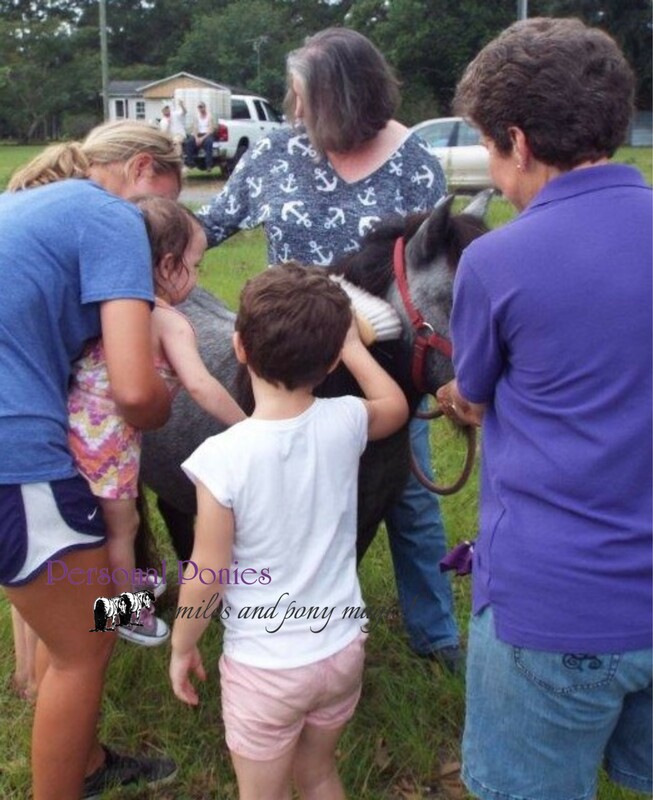 The majority of their service has been in on-site visits to senior homes with some exposure to children. 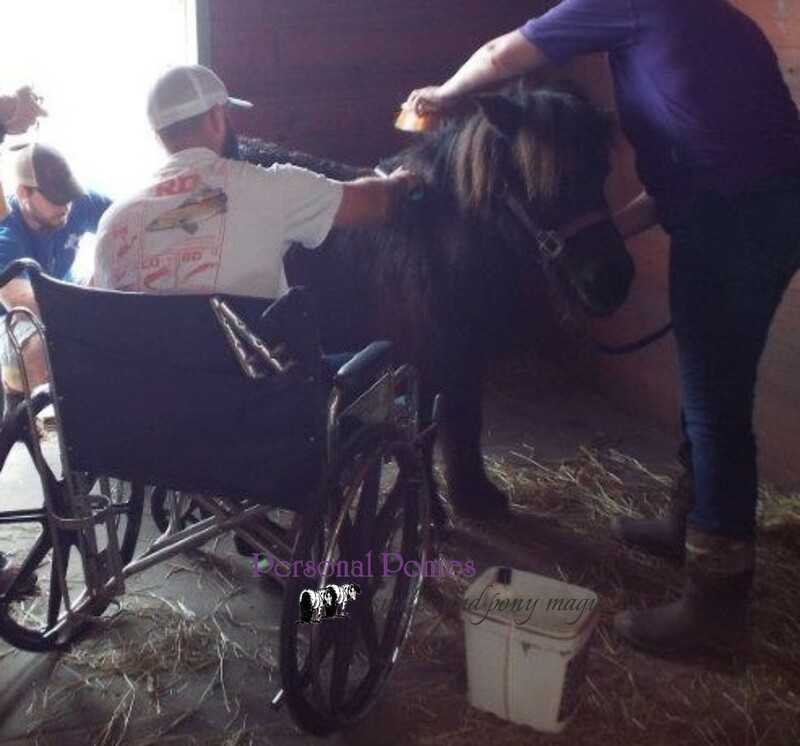 They are comfortable around wheel chairs, walkers, etc. 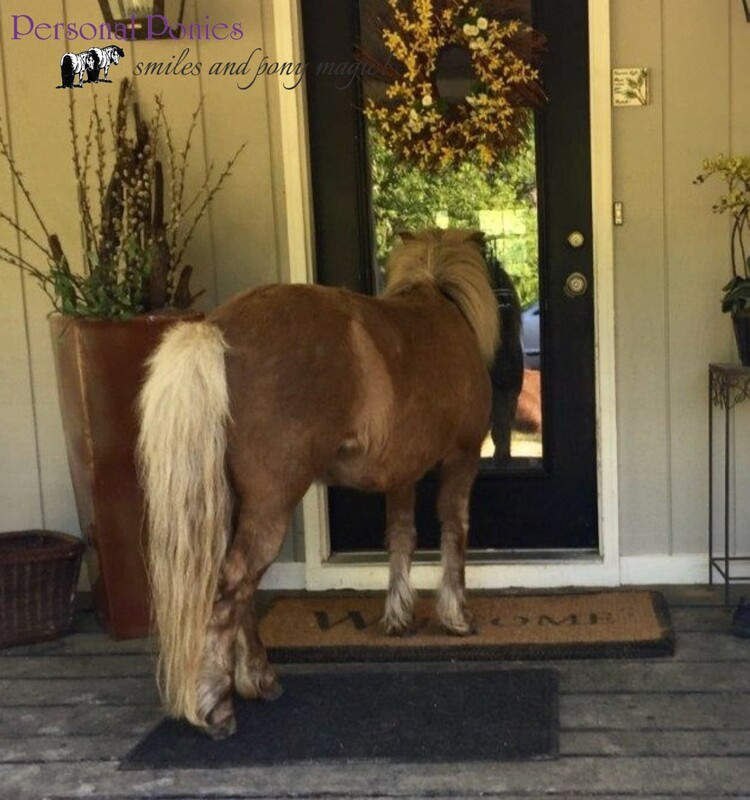 Interesting side-note on Bear: He would not enter a room where someone had recently died; he would work in the hall or lobby. 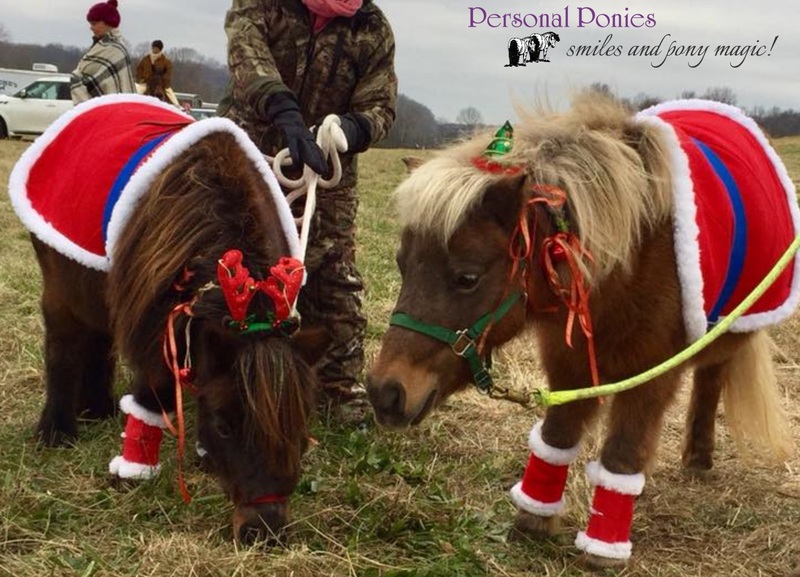 They are currently in TN and have recently been in a Christmas parade where they did well and adjusted easily to the noise and activity. 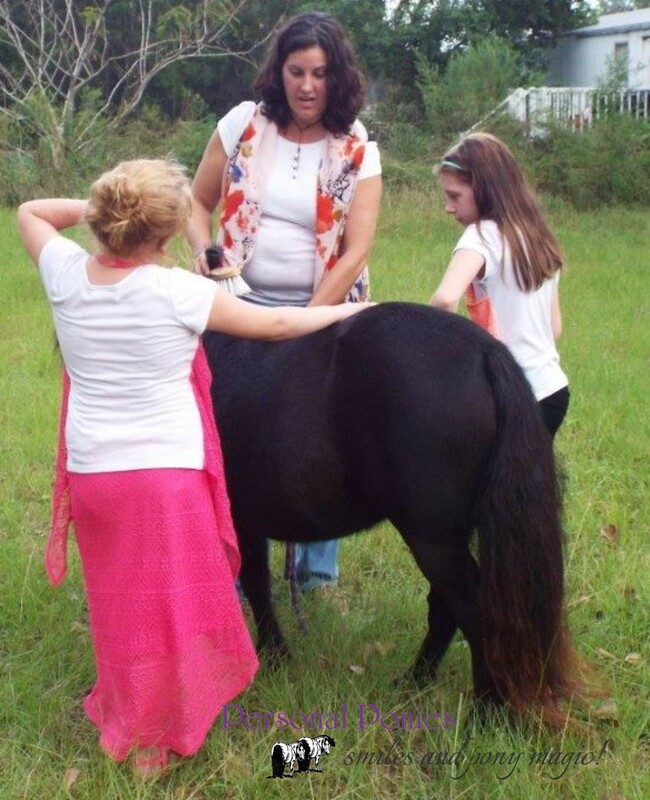 Earl and Jubilee have had extensive experience with children grooming them and have visited schools, senior centers and street events. 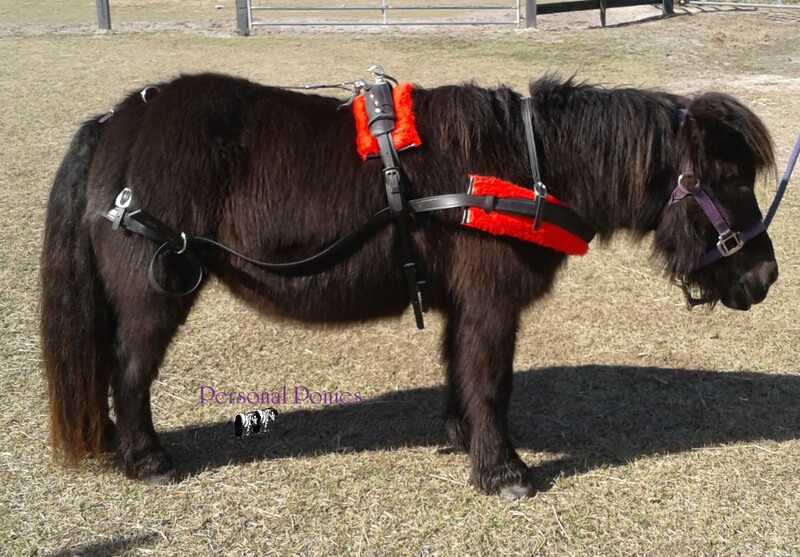 They do well with walkers, canes, wheelchairs – even in their stalls. 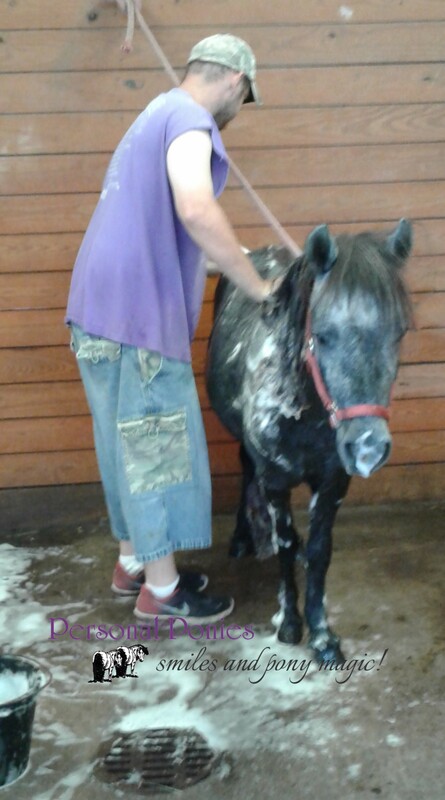 They both tie for long periods of time; standing well for baths, the vet and farrier. 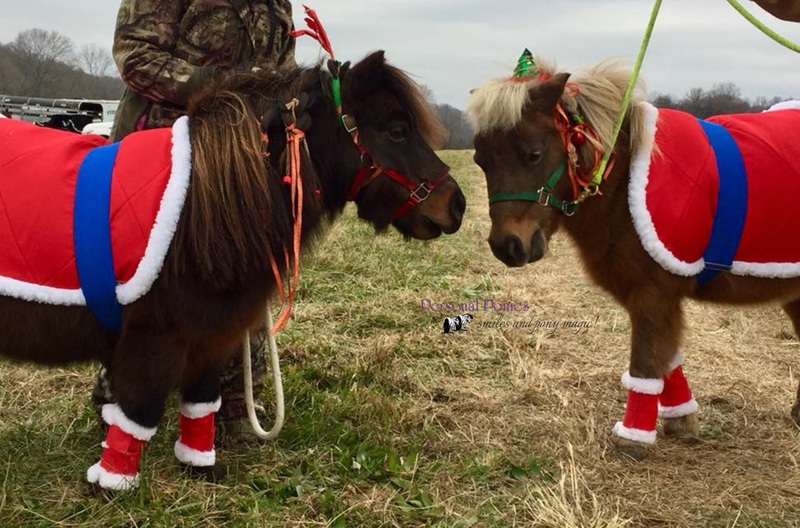 This duo goes willingly over obstacle courses, plastic bottles, water, and long wooden bridges. 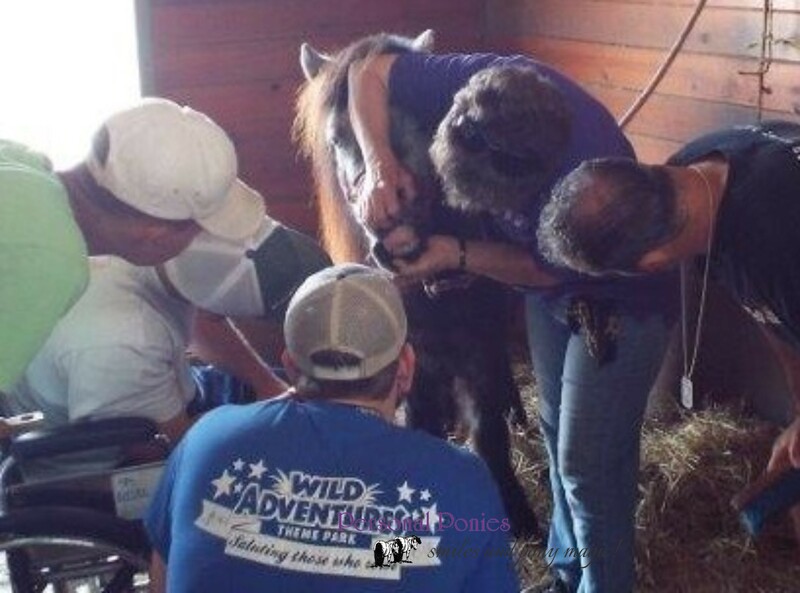 They love love love grooming and ANY type of attention.